On & True: Verizon + Biggie: Switchin phone carriers is easy! Verizon + Biggie: Switchin phone carriers is easy! From On & True's Digable Ads (beta): Verizon obviously thinks that all you iPhone wielders out there should switch over to their side of the fence - from one prison to another. But maybe you have some doubts, maybe your mind is full of more "what ifs" than a stoned kid's. 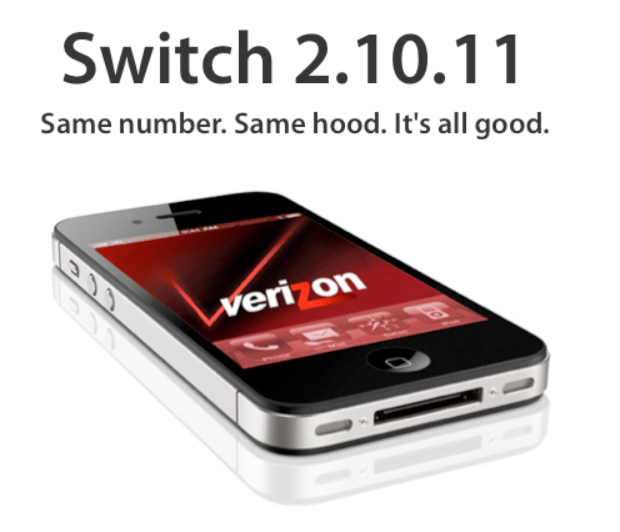 Luckily Verizon has got biggie on its team, tellin you exactly why switchin will be a cinch. Now you know.